[dropcap type=”rounded” color=”black”]A[/dropcap]fter the first sin, Adam separated himself from Eve and while he was away he was taken by a female of the other side. 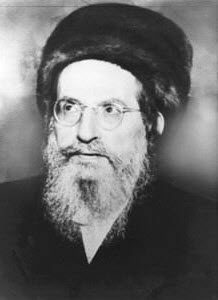 From their relationships came out the souls of the mix multitude, Erev Rav. They were mixed from the good side of Adam and full of desire for self from the impure side. On their first unifications Adam and Eve brought the bad and the good. The bad was Cain that came from the impurity of the Snake and the Good was Abel that came from the pure soul of Adam. 130 years later Adam went back to his first love. 130 is equal to ten times the numerical value of the word אהבה, ‘Love’. The Torah tells us that this time they had one child, Seth. He was ‘in his own likeness’ and ‘after his image’. This tells us that with Seth, Adam and Eve had a pure seed on the physical and spiritual levels. The name of Seth, שת represents the foundation of the human and spiritual worlds. The ש that is constructed from three Vavs is the aspect of the three columns of the Tree of Life and the three patriarchs that will come later. ת is the last letter of the Alef-Bet and represents Malchut, where the souls can bring out the light of the Creator. The soul of Seth connected the upper and the lower, the beginning and the end. Adam was born to have 1000 years of life as in a complete system of the 10 Sefirot. Because of the sin, the light of Malchut disappeared. Adam lived 930 years. The first 900 years were for the 9 Sefirot of light but the last 30 years were in Malchut where there is no light. Adam experienced the lack of light that will be at the end. He gave 70 years of his life to King David so he could complete the Tikkun for him. Rabbi Shimon explains that in the first 10 generations from Adam to Noah, the souls came from Arich Anpin and people lived hundreds of years. After Noah and the Flood length of life became shorter because souls came from Zeir Anpin that is below the upper three Sefirot. From Abraham onward people lived shorter time. God’s intention was that with shorter life people will focus on their correction because of the fear of death. In the Torah the letter ה in the word בְּהִבָּרְאָם (were created) is smaller than normal letter size. The word itself has the same letters as Abraham אברהם. This indicates the shorter life span and the global Tikun that began with Abraham. At the end of the Torah, Deuteronomy 32:6, we see a large ה that stands by itself as a unique one letter word. This letter represents Malchut filled with the light of the Creator and it will be manifested after the final cleansing and removal of negativity from the world. May we have the merit and experience this revelation in our time. Bless Be the name YHVH forever, Amen and Amen. This is the end of Tikun 70, which is the final Tikun of the Tikunei Zohar but it is not the end of the book itself. After the Zohar was found and bound together into three volumes of the Zohar and one volume of Tikunei Zohar they found more Zohar text related to the first three volumes and the Tikunim. In older times and before the invention of the printing press, they copied the books manually, each page exactly as the original. Commentaries were written referencing Zohar text by the page number so they couldn’t reedit the Zohar and corrupt the system of book reference so they added the new Zohar text found at the end of the Tikunim. The other Zohar texts were added to a separate volume.